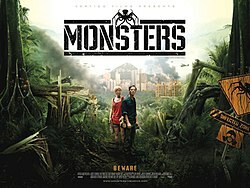 This is just a random indie flick we picked on Netflix about a guy trying to get his boss’ daughter to safety through a giant-squid-like-alien infested area of Central America. Though the title suggests action (to me, at least), this is a pretty slow movie. At times, it’s a little too slow, but for the most part it’s an interesting little movie. I thought the acting was great. The CGI was hit or miss, but it’s a low-budget movie, so you can’t really hold that against them. I really liked the way they ended it. Worth watching if you find yourself searching for something a little different. FYI, Sheena didn’t like it. Man, I loved this movie. Seriously. Loved it. It’s funny, it’s sad, it’s poetic. The acting is fantastic, and, of course, the soundtrack is perfect. My least favorite part of the movie was when I had to pee so bad I had to leave, and I just knew I was going to miss something important. Sheena swears I didn’t really miss anything, but every scene of this movie feels important. None of the scenes are a waste. Everything feels like it matters. I know some people will say it’s TOO perfectly scripted, as far as dialogue goes, but I don’t care. 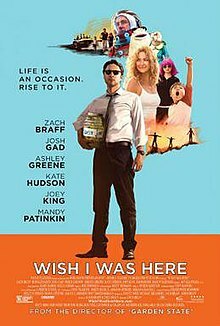 This movie mad me laugh, tear up, and smile a whole lot, and it will definitely be one of my favorite movies of the year. 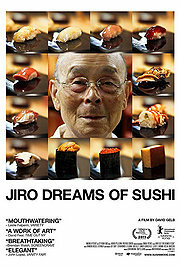 This is a pretty interesting documentary about arguably the best sushi chef in the world. It follows 85 year old Jiro and his two sons, one who’s started his own sushi restaurant, and the other (oldest) who will one day take over his father’s restaurant. It’s a food movie. If you like food movies, you’ll like it. Everything looks delicious, and Jiro’s background and lifestyle are unique. Definitely worth checking out if you don’t mind the subtitles.